The advent of rideshare has helped many people create additional income and others get the transportation they need. If you are considering being an Uber or Lyft driver, it is important to consider not just the income potential, but also the risks and costs. Even if you have full coverage on your vehicle, if the worst-case scenario happens and you are involved in an accident while transporting a passenger, you may find yourself in a financial predicament. Standard coverage does not cover using your vehicle for commercial purposes, so your insurance company could deny the claim both for the damage to your vehicle and any medical expenses for you and/or your passenger. 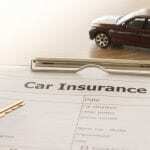 Your insurance company could also cancel your policy if they learn you are using your vehicle for rideshare. To safeguard against these scenarios, you should look into obtaining Uber/Lyft insurance before getting started. When rideshare companies first got started, many insurance companies didn’t want to write policies for coverage. Thankfully, that has changed and the premiums have become more affordable. In some cases, you’ll have a separate policy for Uber/Lyft insurance, but your insurance company could also offer add-on coverage for a modest increase in your premium. If you would like to know more about Uber/Lyft insurance to protect you and your passengers, give us a call at Curtis Helms Insurance. We offer various comprehensive plans to protect you as you get started on your new venture, whether that is for extra income or full-time. We will help you understand the complex nature of this important coverage that you don’t want to be without.